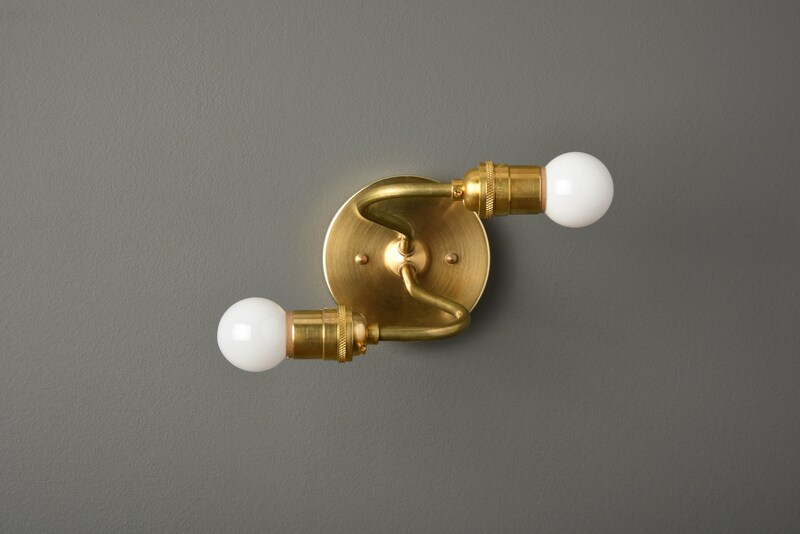 Unique dual arm fixture can serve as a sconce or semi-flush ceiling mount fixture. Shipped quickly- looks great! 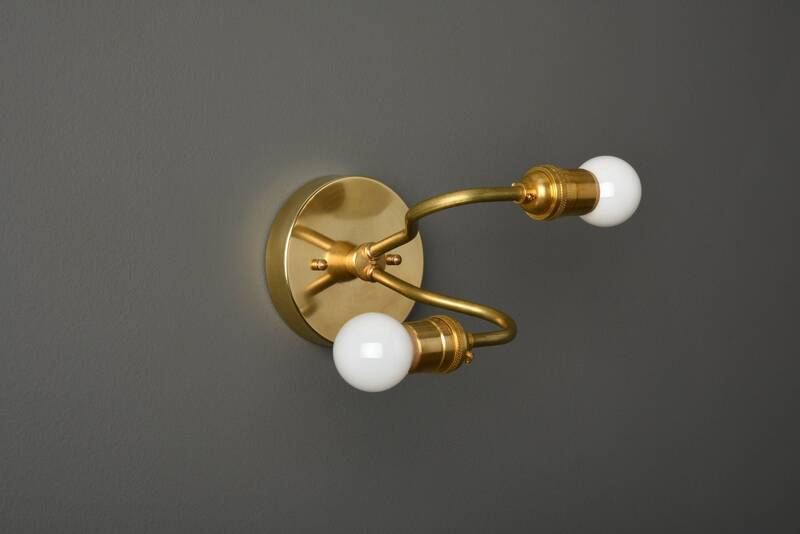 Better price for this type fixture than ANY where! LOVE IT! Really cool piece! 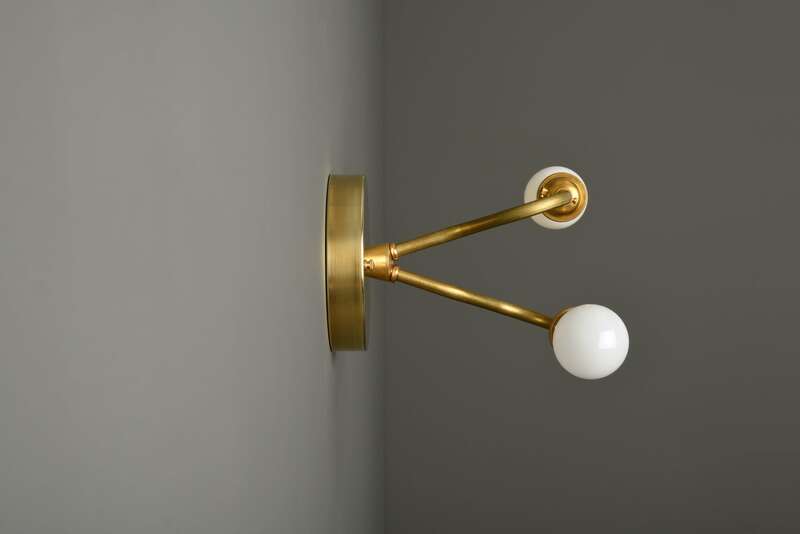 The bulbs give off a gold hue so compliments the brass well. Love it.